Online tutoring jobs are becoming increasingly popular as students and parents turn to technology for help with academics. The big advantage with tutoring online is that you can work from anywhere in the world with a high-speed Internet connection--an office in Bangalore or a house in Ohio. Academic qualifications are, of course, a must. Because highly trained tutors from all over the world are available, the best jobs require a master's degree or higher. If you are a native speaker of English, you may have some advantage, but that won't substitute for credentials. You'll also need to show that you know how to tutor. 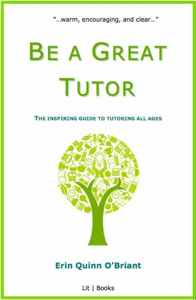 My affordable book Be a Great Tutor: The Inspiring Guide to Tutoring All Ages is a good place to start. Read it, and I bet you'll ace your interview! I've even included a chapter on e-tutoring that features an interview with the CEO of a major online learning organization. You'll need to know basic computer programs, of course. Your organization will have its own technology, and you'll need to learn it thoroughly and be able to help students who are using it for the first time. Lastly, you'll need online social skills. From your first contact with the organization to your daily sessions, you will need to project warmth and professionalism online and be able to explain complex topics clearly without face-to-face interactions. Depending on where you live, this can be the downside of the job. A couple of years ago, I applied for work tutoring on the Internet at an organization that required a master's or doctorate. I figured the pay would be good, but in the end they only offered their going rate: $10 an hour. In the US, that isn't much, but in India or China it can make a very good living. For US or UK tutors, in-person may be a better option, but the chance to make money from home may be work the lower return.